IQS Directory implements a thorough list of tube bending equipment manufacturers and suppliers. Utilize our listing to examine and sort top tube bending equipment manufacturers with previews of ads and detailed descriptions of each product. Any tube bending equipment company can design, engineer, and manufacture tube bending equipment to meet your companies specific qualifications. 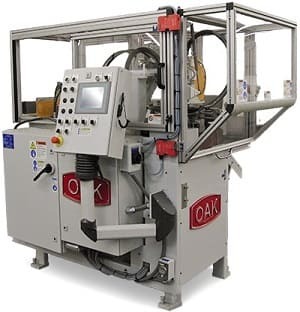 An easy connection to reach tube bending equipment companies through our fast request for quote form is provided on our website. The company information includes website links, company profile, locations, phone, product videos and product information. Customer reviews are available and product specific news articles. This source is right for you whether it's for a manufacturer of tube bending machines, tube bending tools, or tube bending materials. 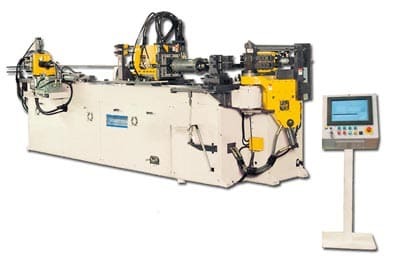 Considering they have invented and continues to improve its technology, it is not surprising that Torrington Machinery Inc. has become the world specialist of tube bending equipment in addition to every other related product and service in the industry. With thousands of its solutions all around the world, Torrington Machinery Inc. is your source for excellent results you can depend on. If you are in need of tube bending equipment then you have come to the right place. All of our tube bending supplies is beyond compare. These machines are utilized in a wide range of industries. Our teams are dedicated to your needs. Our engineers are ready and willing to handle your projects. Give us a call today to learn more information about our company! These superb products are perfect for applications including: mining, oilfield construction, gas refineries, petrochemical plants, power stations, shipyards and more! 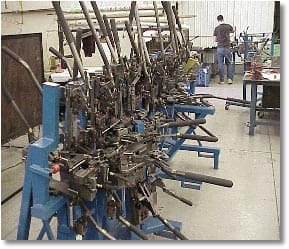 We are your source for the best tube bending equipment. Our machines are highly recommended and you will not be let down by the quality of our tube bending equipment. Contact one of our representatives today! We offer tremendous benefits with our tube bending equipment. These machines come with the full support from our customer service team. We are looking for more than a sale; we are hoping to build a long-lasting business relationship. This is why we will assist you from the initial contact through after-sale support. Give one of our representatives a call today! 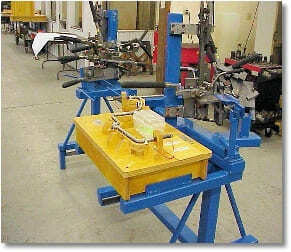 Tube bending equipment is used to bend tubes and pipes using computer-controlled machines. The computerized equipment ensures that the finished product is efficient and high quality. The modern technology used by CNC machines has made it possible to produce high volume, close tolerance, tubular metal parts quickly and inexpensively. 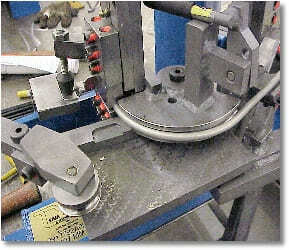 Tube bending can be done using both cold and hot working processes. Often the process alters the mechanical properties of the original material. Tube bending equipment is used to supply products to the agricultural, construction, aerospace, automotive, electrical and medical industries, all of which depend upon several lengths and strengths of tubing in everyday operations. A tube fabricator can offer several standard shapes for tube bending, such as squares or circles, in addition to a wide range of custom tubing shapes. Tube bending is a widely available specialized service. The particular method used to bend the tube often varies according to the industry; some common processes include rotary, mandrel, and roll bending. 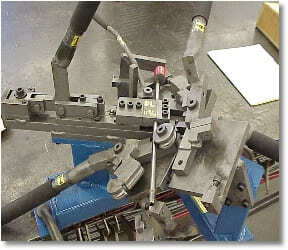 Rotary bending is the most commonly used technique for tube bending. This method relies on the tool and die industry to make complex bends. Tube Bending Machines – Tube Forming and Machine, Inc.
Tube Bending Equipment – Tube Forming and Machine, Inc.
Tube Bending Machines – Comco USA, Inc.